3541, Electret Microphone from DPA Microphones in the d:dicate series. 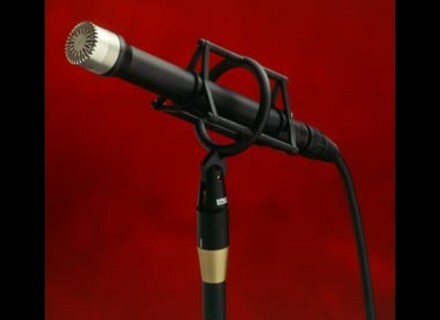 Omnidirectional condenser microphone. It seems that the large diaphragm capsule is based on the same technology as the prestigious and very expensive 4040. This sensor introduces a concept of diversity, the capsule separates from the body at will preamplifier, which is available in two models, one tube (the MMP4000-T), working in class A unity gain, and the other transistor (the MMP4000-S). So there is a choice, at any time between the personality characteristic of the lamp, or the transparency of transistor circuits .. Microphone as unknown as beautiful! I find it quite in the vein of 4040. Its frequency response ranges from 10 to 20 kHz, but with a very pronounced hump in the 8 kHz so be careful in certain situations, especially if you use the preamplifier MMP4000-T. 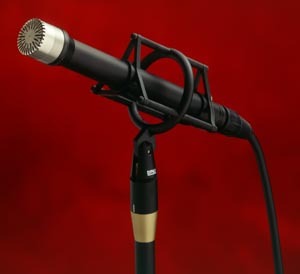 Microphone quite versatile and high quality on vocals, strings, woodwinds and some brass. However its directivity to the intended use in controlled acoustic environments and in situations where multiple sound sources are involved. In fact this bump in the 8 kHz, I find this sensor pleasantly bright, certainly more flattering than other mics, but never going overboard, which is to play too much on the EQ. The most typical application for this DPA is the voice without a doubt, but also the recording of acoustic instruments in a controlled (as mentioned above), in AB configuration with a baffle separator placed between the microphones, or why not as an adjunct to a chorus of piano or organ. Despite their name, the omnis are more or less directly in the treble, especially the 3541. We can achieve excellent stereo recordings made coincident with a couple of microphones .. Note also a proximity effect slight. However, for taking a vote, a pop filter is of course mandatory. Of course, the price is particularly high but it is my opinion fully justified in view of its performance and flexibility.